Here are 2 quick shots of the wheels. The original 19's that came with the car just didnt do it for me. I was also able to take off 45 lbs by switching to these. They blend in nicely with the car and look almost factory. OEM FTMFW. Last edited by Lulzz; 07-24-2011 at 01:19 AM. Those don't look too bad at all. I think I like the "before" wheels a little more. Yea i def plan on getting taller rubber. Current tires have about 8 months worth of tread left. 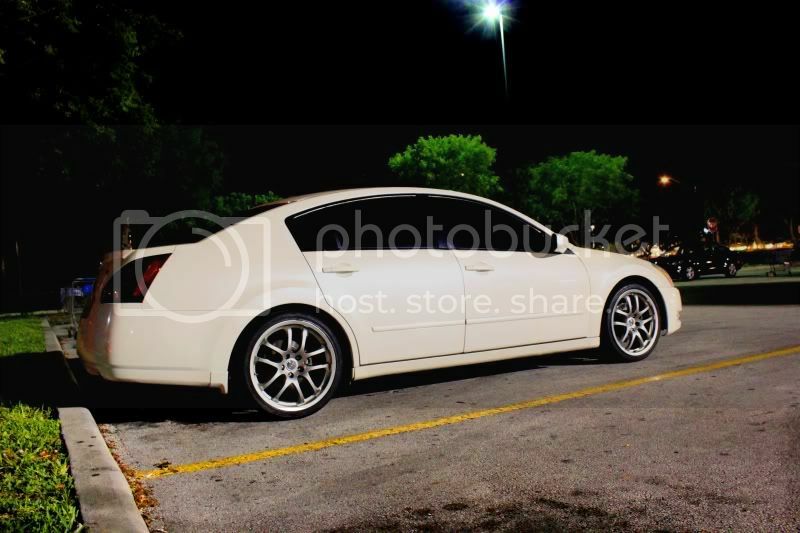 Oh yea i will be putting the wheels from pic one for sale locally. If they dont sell i will put them up here just in case anyone is interested. your first set reminds me of Nick's wheels. 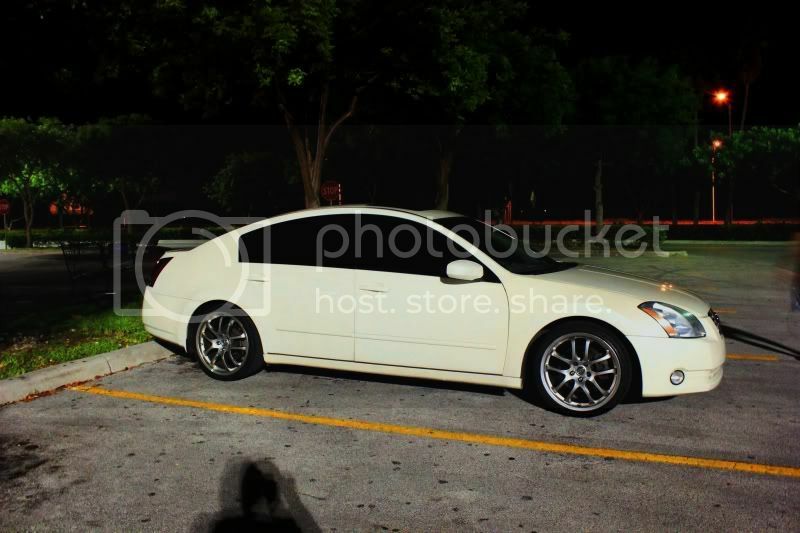 BUt I definately like the G35 wheels better and I agree with Ray, I get bigger wheels. Dude they look hot on the white max!!! I need to find me a set now!!!! But i liked the originals too. Wonderful choice for sure. Always loved those G35 19s! G35s look sooo much better! They look even better in person as well, just drove by a clean set yesterday that caught my eye. 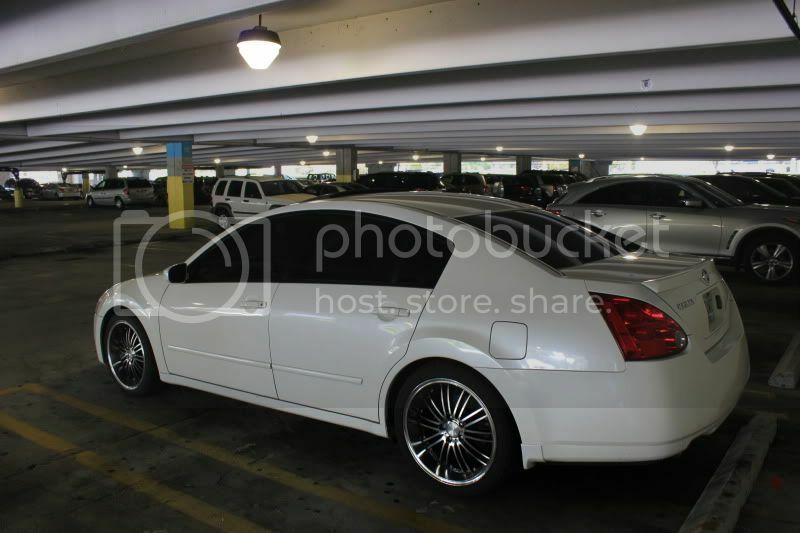 these are the only rims i would get, other than the OEM nismo A34 rims. It was like a month later... not a year. I'm kinda glad Ray can't make up his mind! Sorry brother...it's a "your loss, my gain" kinda thing! It's not so much me changing my mind. It's more of me getting something so see how it looks and if something is off, I sell and get something else type of vibe with me. It's all good, I'm not complaining! I wish I had the money to take those Volks off of your hands!